Do you have your brackets ready? How are you doing – are your faves “winning”? Round 3 of Bernat’s Yarn Madness is upon us, getting ready for the Final Four! It’s time for Round 3 of Bernat Yarn Madness! 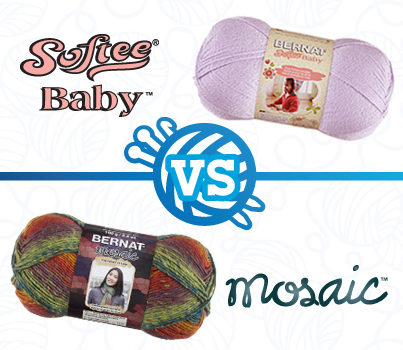 Your votes have helped us narrow the field to just 4 final contenders for the title of Ultimate Bernat Yarn! Check out the Round 3 Into Post to download an updated bracket and play along! Match-ups will take place here on the blog, and the winner of each match-up will be determined by your votes, so stop by regularly and vote to keep your favorite yarn in the competition! Keep an eye here on the Bernat Blog and on Facebook and Twitter to find out when the battles are on!